The Americans with Disabilities Act is nearly 25 years old, but some entities have still not made their public accommodations accessible to disabled people. These entities risk being sued for noncompliance with the ADA. If the plaintiff wins, his attorney recovers attorneys' fees. In this case, the plaintiff was denied fees in the district court after winning a default judgment. He wins the appeal, however, because the trial court did something wrong during the case. The case is Costello v. Flatman, LLC, a summary order decided on March 11. This case arose when plaintiff -- who is wheelchair-bound -- was unable to enter a Subway restaurant because it was not accessible. The district court awarded him $14.31 in compensatory damages. His lawyer then moved for about $15,000 in attorneys' fees. 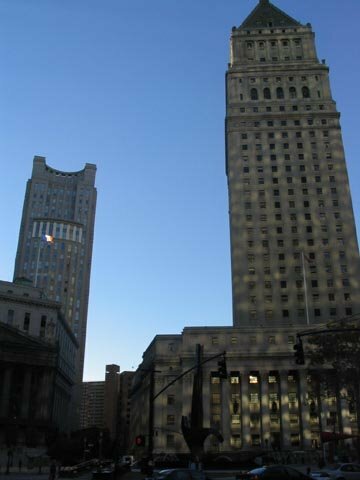 The district court ruling notes that plaintiff has filed a series of similar actions against other New York City establishments under the ADA, and that at oral argument on the attorneys' fees motion, plaintiff's lawyer was ill-prepared to answer the Court's questions about his hourly rate, the number of hours expended on the case (in light of similar work performed in other cases) and his co-counsel's questionable litigation record. The way the district court (unflatteringly) summarizes things, it looks like the plaintiff's lawyers have tried to make a living bringing cases like this, filing boilerplate pleadings and settling their cases to avoid sanctions. More broadly, the district court comments on the "cottage industry" that has sprung from the ADA, where lawyers send out disabled clients to establishments that have not complied with the statute and then suing them rather than attempt to work with the businesses to rectify the ADA violations. More troublesome is the fact that the Court's best efforts have failed to prove that an individual named "Mike Costello" exists, is wheelchair-bound and has visited any of those establishments. However, assuming that Plaintiff does in fact exist, these lawsuits have done nothing to ensure that he or any other disabled person will have equal access to any business named as a defendant. The Court does not highlight the observed structural deficiencies to invite more lawsuits against these businesses. In fact, many of the ADA-violations alleged in the complaints filed by Plaintiff did not even exist in the first place. The trial court added that "[t]hose who take on the honorable cause of representing disabled individuals must recognize that they not only represent their fellow lawyers of the bar, but also the legal giants who paved the way for passage of crucial civil rights legislation like the ADA. One such legal giant, Charles Hamilton Houston, famously said that 'a lawyer is either a social engineer or he's a parasite on society.' The conduct of counsel is indicative of a parasite disguised as a social engineer. It must stop." While the district court may be correct in its observations that certain structural defects existed at the time of its visit, it is not clear to this Court that such defects are “not subject to reasonable dispute”or that the conclusions that the district court drew from its observations may be “readily determined from sources whose accuracy cannot reasonably be questioned.” Moreover, the district court did not provide notice of its investigation or its findings prior to the issuance of its opinion, which deprived Costello of an opportunity to contest the factual findings contained in the order denying attorneys’ fees. Thus, Costello’s claim on appeal that he would have provided some explanation for the status of those facilities undermines the district court’s decision to take judicial notice in this context.